Both Visa and MasterCard Credit cards are great cards. However, when searching for a new credit card, one might research the pros and cons of getting either a Visa or a Master credit card. This article will help one decide which network is best for them. As individual needs do differ even for credit cards. Firstly one has to take into consideration that these networks are actively involved in issuing the actual cards themselves. That is even though they bare their names or logos. The individual’s bank will publish the card with both the bank’s logo and the portal’s logo, i.e. 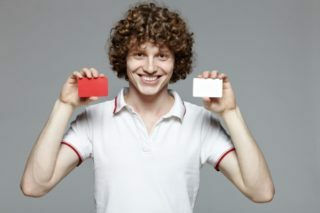 Visa or Master card. These payment portals are the background infrastructure that facilitates banks and retailers passing funds between each other from purchases that are made using the cards. Given that they are just networks sheds light on that they are not that much different. The rewards they offer are very similar, for example, they both offer travel and other insurance. Also more rewards like a level of protection for purchases made using their cards, security against fraudulent use of their cards and car rental, usually associated with travel, where purchases are made using their cards. You can take back the comparison to the patron’s bank to see what additional perks they are offering the cardholder. These would be things such as cash back rewards and the like. Both portals also provide their benefits on loyalty levels. Benefits can, therefore, be redeemed in bundles according to one’s loyalty level. For Visa, the first level is called the base level, while the higher level is the signature level. At the base level, Visa and MasterCard cover cardholder should they damage a rental car in a crash, they cover them for purchases made without their consent on their cards; they then extend the warranties, and the card holder has access to the emergency helpline. MasterCard on the other hand also with loyalty benefits offers them at three levels. Their levels are the base-lowest level, World idle level and the World Elite. The base is similar to Visa’s base with collision insurance on a rental vehicle, illegal purchase protection, and the emergency helpline. In addition to this MasterCard offers its card holders protection against price. That means you buy an item using the Visa card and the price of that item decreases in under 60 days; MasterCard then pays the cardholder that difference in price, of course, terms and conditions apply. On the world level, this price protection is offered up to 120 days. That is while they also offer concierge much like that offered on Visa’s highest level. They also have other niceties like the addition of breakfast to a hotel booking and room upgrades at participating hospitality members. Their highest level has all these rewards plus travel discounts and membership in World Elite Cruises and holiday bundles. One must, therefore, determine which perks are important to them. Good luck with choosing between the Visa and MasterCard Credit cards. ← What are the types of credit cards available in South Africa?